Google Adsense Plugin for WordPress is not just another plugin designed to insert ads in your self hosted WordPress blog. Now since WordPress is the number one blogging platform, atleast in the self hosted section, it is important for Google to launch a product which takes on the challenge head on. And what we could gather till now, the plugin is good and there is also lots of scope for improvement. You will need the following to get the plugin working for your site. A self hosted WordPress website. Now for the last one, there are whole lot of tutorials out there to get help, but for the sake of simplicity we will not cover that part. To begin with, you will need to remove any adsense advertisement you have previously placed on your website. The plugin will give you suggestions on where the ads can be placed and you can choose your locations too. Also it might be worthwhile to remove any other advertisement and then do the placement later on. Also for those who have already worked with the Google Webmasters or the Google Search Console as it is known now, there is a process of verification being done when linking up the plugin. That process will be either skipped or repeated. 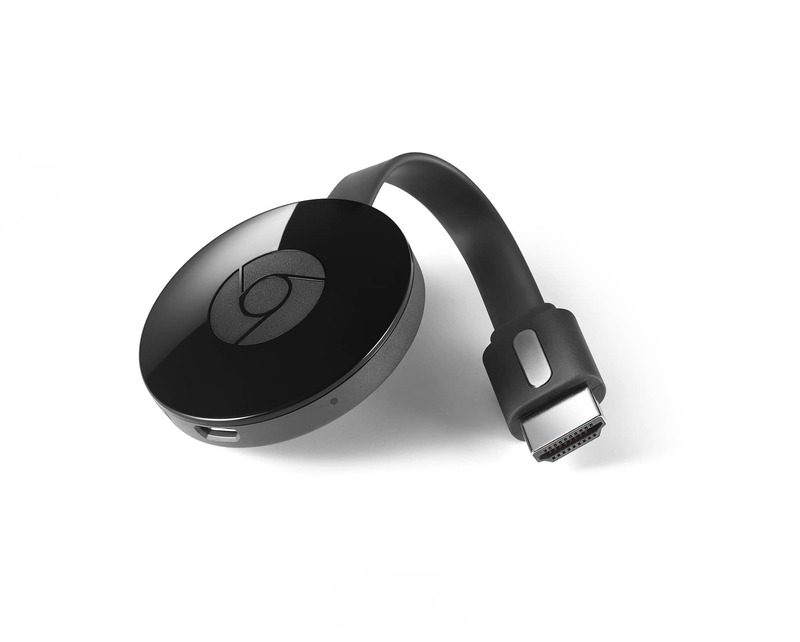 Google help explains in details how to install an use the plugin. It is highly recommended that the guide should be used in conjunction with this article to get a successful install. This is important as many users have complained that the ads are not visible and they have given a mixed ratings to this plugin. Also just make sure you have not installed any browser based ad blocking plugin like Adblock Plus. 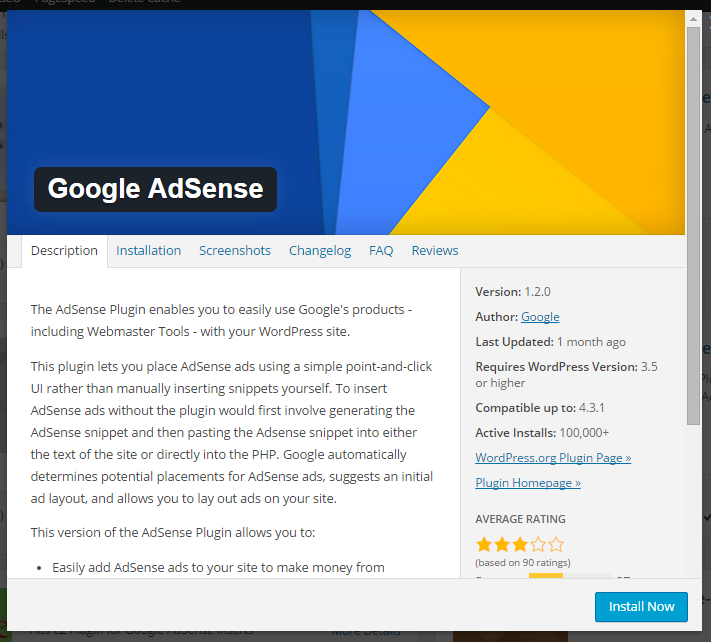 Installation of Google Adsense Plugin. The plugin installation steps are similar to installation of any other plugin on WordPress. 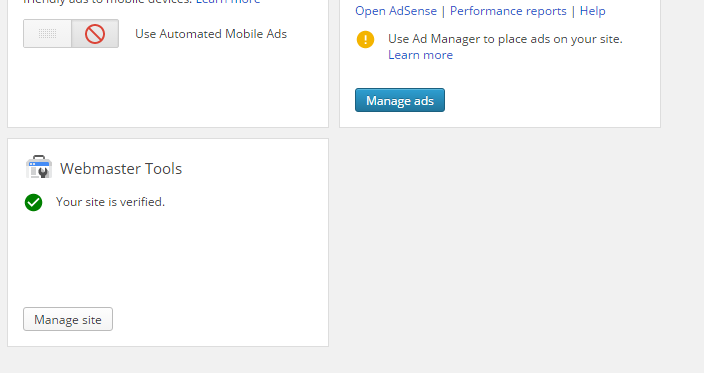 Go to the Add New option in Plugins and Select Add New and type in Google Adsense in the search box. Click on the plugin to see the details and click install. When you see the installation successfull, click on activate plugin. Your plugin is now good to go. It is highly recommended that all FAQ be read along with the reviews. Now here is the part where you have to get lucky the most. Just Kidding! Once the plugin is installed, there is a message on the top to get you started with the first steps. 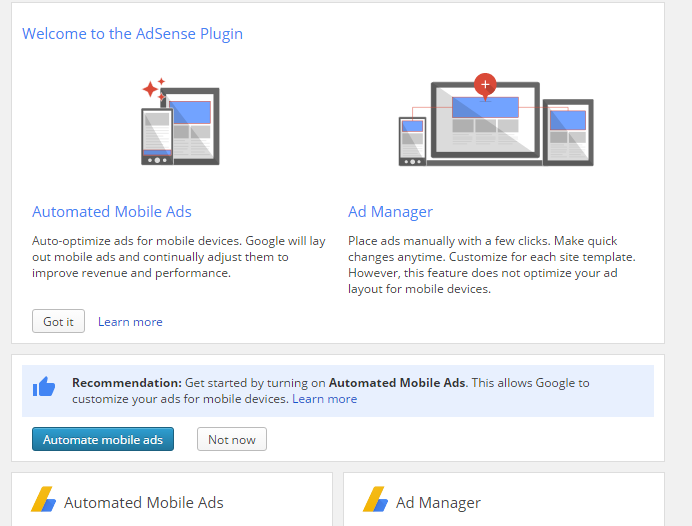 Click on Get Started and you will proceed to the Welcome Screen for the Google Adsense Plugin settings. Click on Get Started to proceed. At this point it is recommended that you open the Google account, either gmail or webmasters in the same browser but another window. 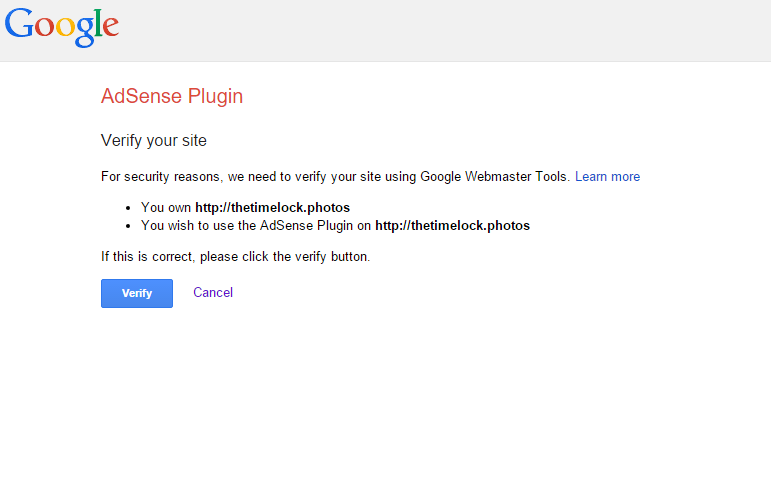 Verification takes you to another website called Publisher Plugin. Successful verification gives you the following display. 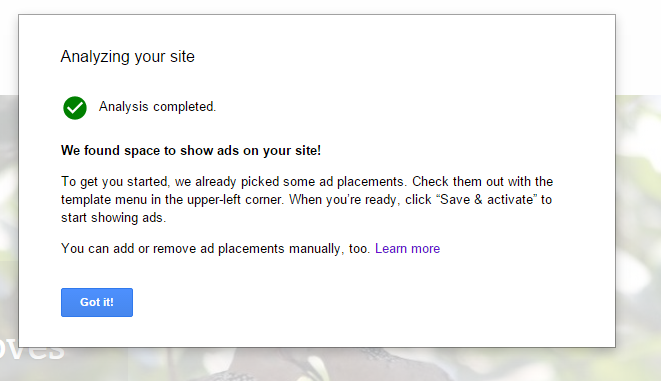 Google Adsense Plugin clearly recommends two options as seen in the screenshot. It is very important that the Mobile Ads feature is enabled. It will help you to generate more revenue. The mobile ads are also responsive and should look great on mobile devices too. Automated Mobile Ads is just a single click settings and Goggle will do the rest at the backend. 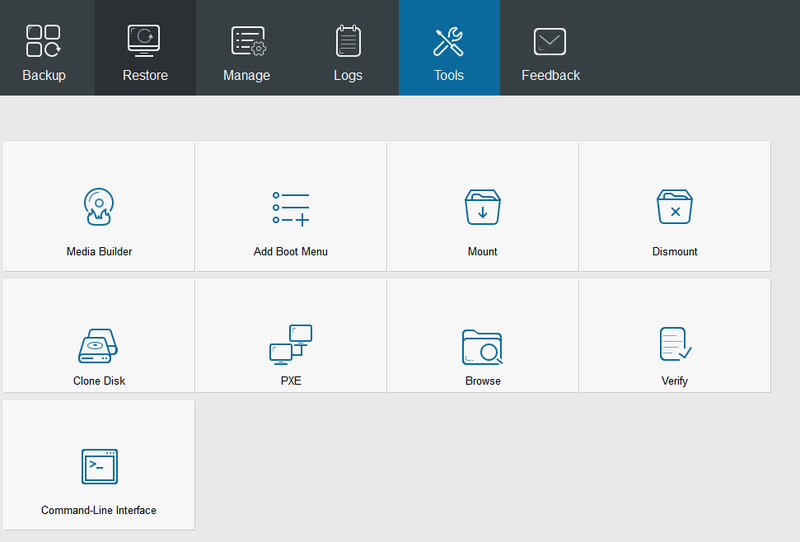 You can also explore the feature of Manage Site later on. It explores a whole lot of features which are available in the Google Webmasters. This is the most important and critical part of the whole exercise. To make the plugin comprehensive, Google had to make it a little bit complex, but again as the rating show, it is a mixed bag. Click on Manage Ads. The plugin will start to analyse your site for ads placement options. A successful analysis gives the following confirmation. Again, this is just the analysis part. Be very careful in the next steps. Recommended option is automatic placements. You can go for the manual option later if you dont like the way your site looks. Follow the instruction to click save and activate at the top right of the screen. At the end of the exercise, you will get the following confirmation. At this point of time, you may stop and look at how the ads have been place and if you need any changes. Those can be done with manual options. As we can see, the Google Adsense Plugin does a great job in placement of Google Ads in your self hosted WordPress blog/website. The integration with Webmasters is the added benefit. But follow the installation steps very carefully and deliberately in view of the problems faced by other users. A large number of users have gave this plugin a one star. What might appear as a bug, is actually not. There are some requirements of Adsense which if not met, will result in error. Firstly there has to be no residual adsense code anywhere in the website. Secondly, your theme has to support adsense. 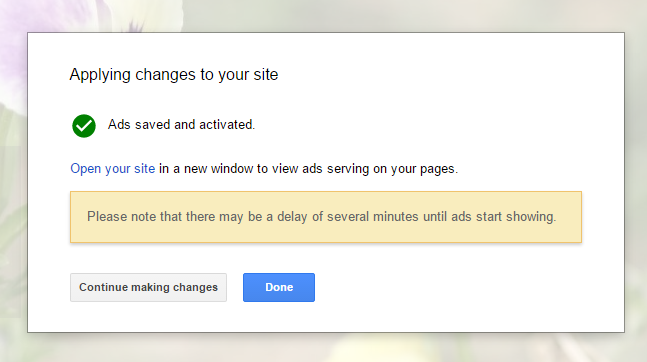 Lastly, any conflicting plugin, adsense will not work. And remember there are a lot of badly coded plugins out there. Also most of the cache plugins have an issue with adsense. when I clicked on manage ads I got following error what to do . ?? This is the generic error message. If anything is wrong with the site, which includes incompatible plugins or themes or any issue the same error message is shown. It is left to the admin the rectify the issue, if at all it is traced. You have written a lot of things about adsense. It was very helpful to read. Thanks again for your time and consideration. Thanks for the info. It’s very helpful to read the article on adsense. Vishnurexbob recently posted…​Easy, simple, and effective way to delete all types of comment on WordPress.